Toulon's Wales full-back Leigh Halfpenny is unlikely to return to action this season, according to reports in France. The 27-year-old has been out since suffering a knee injury in Wales' win against Italy in September 2015 but had been scheduled to return in mid-April. Halfpenny had been registered in Toulon's European Champions Cup squad. But the former Cardiff Blues player did not feature in their quarter-final defeat by Racing 92 on Sunday. Coach Bernard Laporte had suggested Halfpenny would return against Pau on 16 April. Toulon's final game of the regular season is on June 4 against Bordeaux-Begles, with the play-offs to follow. 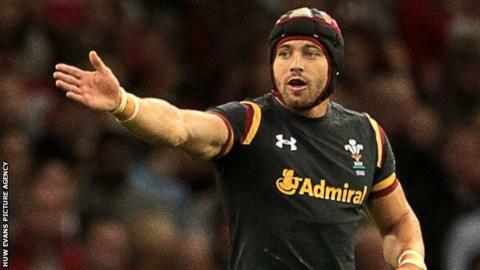 A further absence would rule Halfpenny out of Wales' summer tour of New Zealand. The WRU and Toulon have been contacted for comment.